The Venus Flower Basket is radially symmetric and moderately sized, ranging from 7.5cm-1.3m in height. It has a unique lattice structure of fused siliceous spicules, giving it a glass-like look. A net of living tissue surrounds the siliceous spicules that is created by the amoeboid cells called archaeocytes. Within the tubular net are finger-like chambers covered in choanocytes that open into the spongocoel, allowing water to mover through the sponge. 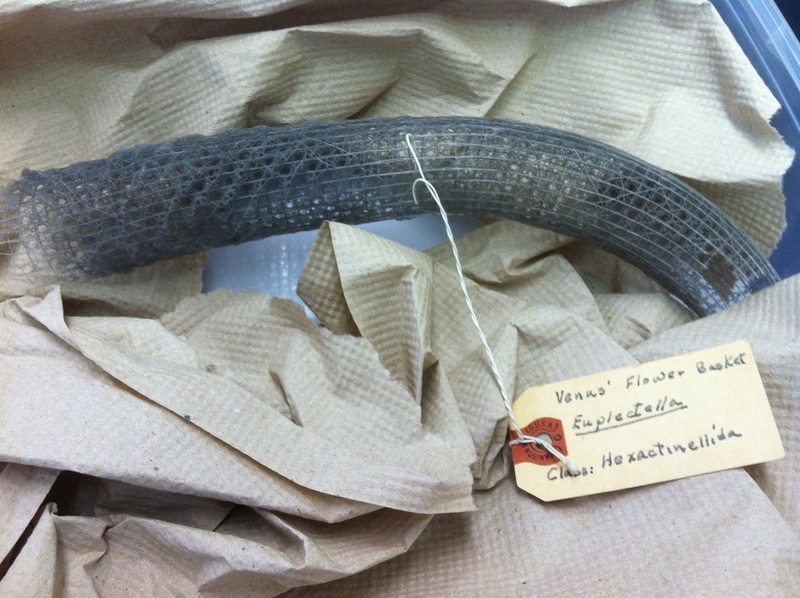 The base of Venus' Flower Basket has a tuft of elongated spicules that are used to attach to the ocean bottom. Under unfavorable conditions, reproduction is asexual. Under more favorable conditions, reproduction is likely to be sexual. Venus' Flower Basket is found attached to rocky areas on the sea floor in depths from 100-1000m below the surface. Their geographic range consists of the western Pacific Ocean near the Philippine Islands. Little is known about the Venus Flower Basket largley due to the depth at which this animal lives. There is no known importance or direct relationship with humans. Soares, Beau McKenzie. "Euplecta aspergillum". Retrieved from: http://animaldiversity.ummz.umich.edu/accounts/Euplectella_aspergillum/.